EAC are helping to revolutionise the real estate video marketing space. We are committed to assisting Real Estate Agents all over Australia to promote their brand and give agents the edge over their competition. EAC are proud to announce the launch of our new Video Marketing Solution. A solution that is one part app and one part hardware. The app is suitable for both iPhone and Android Smartphones. You are going to want to see this! The app is known as the HouseLens View Video App in the app stores. The hardware comprises of a stabiliser and a wide angle lens that you attach to your phone, allowing you to capture a greater area than you ever could with your phone alone. EAC have partnered with HouseLens Inc. to distribute the EAC Video Marketing Solution for real estate agents and has secured the exclusive distribution rights to deliver the disruptive technology to agents across Australia. Putting your brand in your hands. Produce professional quality real estate videos easily. Effectively, with the HouseLens View app, you have your brand in your hands. You don’t need technical experience and you don’t need any video production experience. All you need is a phone, the app and our special phone stabiliser. Then all you do is just point, shoot and the app does the rest. We will provide full training so don’t worry. It’s easy. The videos give the impression they are professionally produced by an expert, with different styles to choose from. You can do an agent introduction, a voice over if you like or we have a range of royalty free music you can use with one touch. After filming your walk through video, the app will load your video to either your YouTube Channel (we can help set up your YouTube channel) or a channel you nominate. You can also load it to other social media platforms. This will all help to give you a much greater profile on the internet. Remember that your online profile is your resume for clients searching you on the web. Make it count! With our videos starting at as low as $14.95 a video, there is now no excuse for you not to provide your clients with professional property videos to assist in the marketing and added exposure of their property. For those of you that like statistics, In 2015 there was an exponential rise in the appearance of videos on listings. If you would like to join the rest of the real estate industry…. The world could be watching your creations in no time at all. Stand out from your competitors. We all say we are different – but are you? Some agents use a basic slide show video that uses only photos of the property. The EAC Video Marketing Solution videos encompass a full walk through video experience which shows the depth and scale of the property. This is something slideshow videos could never achieve. Today’s consumers now expect so much more. 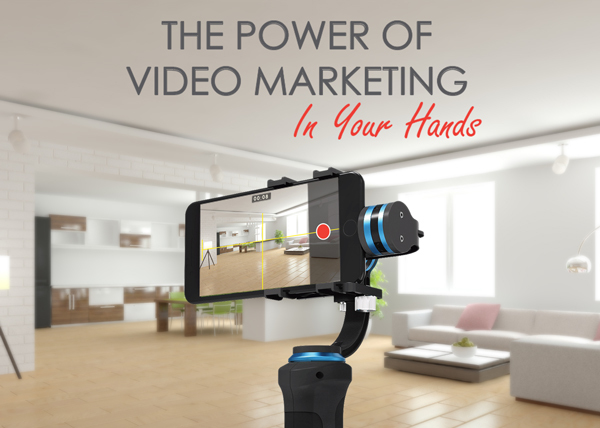 EAC puts the power of video marketing in your hands. Thank you for listing these benefits of using video in real estate business marketing.